Spokane, Washington, as with most of the state proper, is facing an outlook where heroin use is in the midst of a great epidemic, possibly surpassing meth by the end of 2018 in terms of treatment center admissions. Prescription opioid use and abuse is the other ongoing issue, primarily with the city’s older population, and like heroin well above the national average in terms of treatment center admissions, and sole-cause deaths. If you live in Spokane, and have fallen victim to substance abuse don’t hesitate to seek treatment. There are enormous resources in at your disposal. Signs are also that opioid abuse will grow year-to-year for the immediate future, unfortunately leading the way for national trends. Washington State is a HITDA region and as such a particularly strong drug trafficking stronghold, especially when it comes to the aforementioned meth, heroin and opiates. The city of Spokane is also very strong in alcohol and pot use. Violent crime is frequently drug-related and taking place in the busy downtown area. A higher percentage of convicts being released to society is an ongoing issue in Spokane, more so than most of the rest of the country. Overcrowding in prisons remains a problem that has not yet been dealt with to its necessary degree. The truth of the addict is such that most any drug can be had for a price. Whatever one needs, or craves … or wants, an addict will find. As mentioned earlier, help is a phone call or treatment center visit away. Always do your own research to find what is best for you, and use the above resource listings as a base. Many of the centers previously mentioned will accept Medicaid and Medicare, or cash. Many will also work with you in terms of financial assistance. Do your diligence first, and then pick up the phone. As we say here with some frequency, true recovery begins with the acknowledgment that you have an issue, and then seeking help for that issue. If you do not find the answers you are looking for, please feel free to drop us a line and tell us how we can help. The city of Spokane stands along the Spokane River in eastern Washington. Its population according to the last census was 208,916. Known as the birthplace of Father’s Day, Spokane’s official nickname is “Lilac City.” It is the largest city along the Interstate highway, a span of over 1600 miles. As Spokane also lies within the Northern and Canadian Rockies ecoregion, due to its geography (wooded forests, meadows, and grassy hills are common), wildlife is in abundance in certain areas. Crimes are more frequent in Spokane than in the rest of the state, and in the top 2% of comparable crimes of all U.S. cities. Many of the crimes are of a violent nature, and considered to be drug-related. Per every 1000 people, from 2010-2017, the crime rate averaged just over 65 people. Most of the crimes take place in the downtown area, drug-related and otherwise. The city also has recently been noted as having the fourth-highest auto theft rate in the U.S. In the 1990s, most violent crimes with a drug association were due to crack cocaine, a scourge that has since substantially decreased. During that period, the Spokane Police Department transformed to a community-policing precinct model, one of that helped notably curb crime rates. Median income for households with a family is nearly $55,000, on the cusp of the national average. Hate groups are unfortunately common. Population mix is predominantly Caucasian, followed by African American, with a notable mix of Russian, Latino and Pacific Islander. The following headline was released nationally on April 27, 2017: Meth, Often Mixed with Opioids, Leads Spike in Spokane County Drug Overdose Deaths. Days later, on May 3, 2017, we were presented with this: Meth Addiction in Washington State Reaches a Crisis Level. Further, the city was presented with this undated article from 2017: Prescription Drug Abuse Fueling Rise in Heroin in Spokane. In other words, drugs have been in the headlines lately as it regards the city of Spokane. 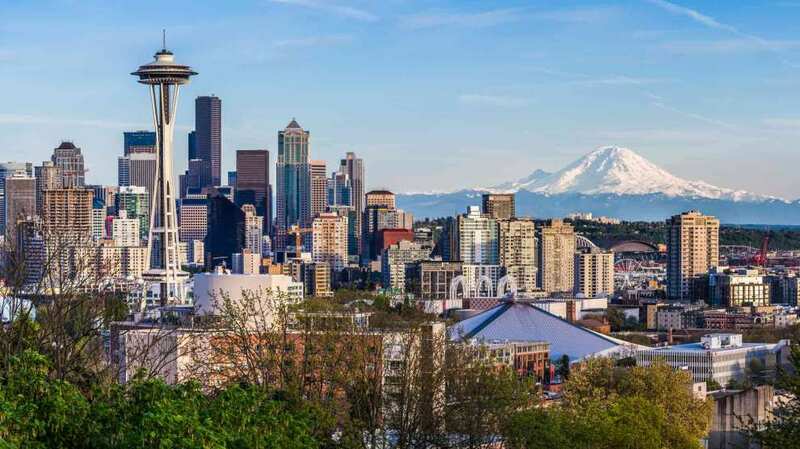 However, in a glimmer of good news, this second-largest city in Washington State has yet to reach the overdose levels experienced at their heights in the east and the midwest. A comfort, perhaps, though certainly not enough to hang a hat on. Meth, prescription opioids, and heroin are largely abused by Caucasians, based on treatment admission statistics. To a lesser extent, African American and Latino users are next. Pot and alcohol are used by most groups, also in line with the national average. As with other similarly-sized cities with similar issues, law enforcement and educational centers have mobilized to work together and implement programs intended to fight the ongoing abuse. For older men and women, prescription opioids remain Spokane’s’s largest issue. The cycle is near-unfathomable, as nearly as many older men and women die on an average every year from prescription opiates than the young people losing their lives to heroin. Further, many of the young people steal their parents’ opiates to sell or trade in support of their own heroin habits. Heroin overdose deaths have quadrupled from 2010 – 2017, surpassing the city’s percentage increase of both methadone-related and alcohol-related deaths, although meth is still the city’s number one drug in terms of fatalities. In a given full month in 2016, the following drugs were responsible for the listed number of overdose deaths: Methamphetamines – 29 deaths, Heroin – 22 deaths, Benzodiazepines – 16 deaths, Morphine – 14 deaths, Hydrocodone- 11 deaths, Oxycodone – 10 deaths, Methadone – 8 deaths, and Codeine – 8 deaths. Finally, from 2015-2017, more money was spent on pot in Spokane than milk, wine, or bread. Spokane is a beautiful, natural city with a reputation befitting most HIDTA (High Intensity Drug Trafficking Areas) regions. The city’s prisons are frequently overcrowded, which adds to further issues upon the release of inmates back into society. As ever, this city, like most, are utilizing a combination of lawful tactics and education to curb the growing abuses. For every sign listed above, note that more can be added. On a general basis, if you feel as though yourself or your loved one are simply not “the same” as you or they have been, it may be time to ask for help. If you have come to The Recover with the intent of trying to find some help for your own drug issue, or you are interested in helping a loved one, you have certainly come to the right place. The following will list some tried and true resources that will likely be of benefit. Pre-intake is the earliest stage of your treatment plan following a decision to get help. Once the decision is made, further decisions regarding resources for intake services and detoxification (withdrawal) aspects usually follow. Sometimes, a person can begin treatment without the need to detox. A user may be sober during the period of seeking help. In this regard, detox may be attended as part of an overall treatment plan, although withdrawal from a particular substance may not be formally necessary. Some applications ask for more than the above. A physician or treatment center representative will then review your application for the proper steps, and treatment. There are as many stages of treatment as there are stages of actual drug abuse. Especially if you have an immediate need for a medically-supervised withdrawal treatment, among the first and most important stage in your treatment plan is the decision to enter into a detoxification program. Factors that can influence the longevity of the detox aspect of your treatment program include: What is worse for you, the withdrawal process or the grip of the drug itself? Multi-drug abuse. Pre-existing medical or mental health conditions. Your level of dependence. Genetics. Commitment. Strength of the drug from which you are withdrawing. Fear. Intent following the withdrawal process. Previous trauma. Environment (both that of your home life and the environment of your support system). temptations in both but as long as you remain responsible, you will also learn specific strategies as to how to deal with them. It is up to you to take advantage of those lessons. Sober houses are also highly-structured, and most residents are referred to a sober living environment from a rehab center. Requirements and rules are strict, and they usually include: No drugs or alcohol on the premises. No violence. No overnight or sleepover guests, not even family. Commitment to random drug testing. Involvement in a community-related program. Acceptance by a peer group. Acceptance of advice from treatment professionals. Respect for the rules of the house. Following all directions. No swearing. No stealing. No sexual activity between residents. Honesty. Curfew must be respected.